Areas at risk include land and property at Worsley Business Park. Also at risk, some properties on Mosley Common Road. The area bounded in blue on the map shows the area covered by flood alerts and warnings for Honksford Brook at Worsley Business Park and Mosley Common Road. 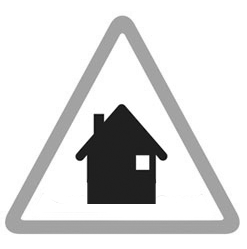 Areas at risk include properties in The Nook along Grange and Hastings Road and lower parts of Walker, Walnut, Worsley, Larch and Chestnut Roads. Areas at risk include properties adjacent to Worsley Brook at Alder Forest Avenue.